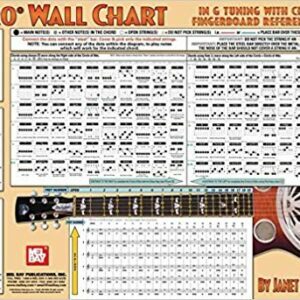 A Chord Chart for your wall, with not locations for every chord on the Dobro fingerboard. A picture of the Dobro fingerboard also includes the letter names of the notes along each string. Available from Amazon for $9.99. Click Here to Order from Amazon! Book +Audio Download+Video (split screen & close up) A complete course for the beginning through the upper intermediate level Dobro player. 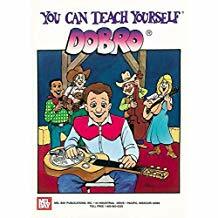 Includes step by step instructions for learning each song provided with tablature for the Dobro, (Square Neck). Available from Amazon for $19.07. Click Here to Order!